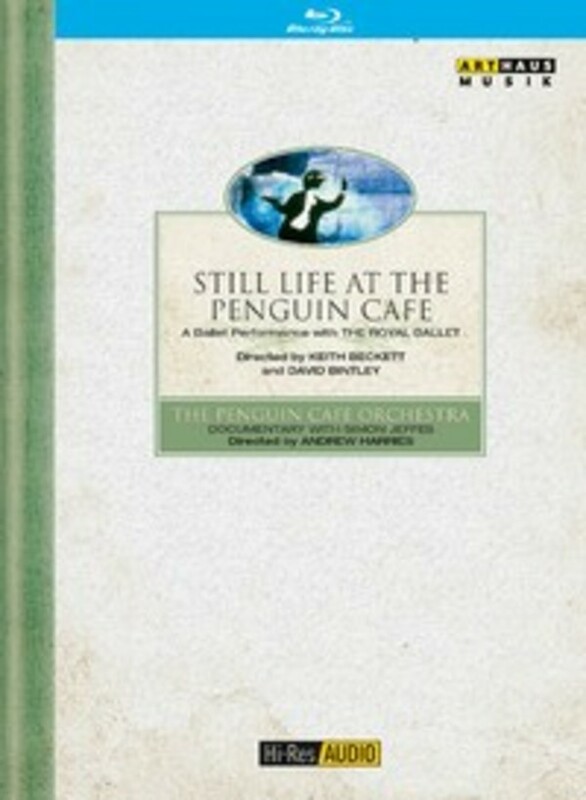 The idiosyncratic music and imaginary world of Simon Jeffes, founder of the Penguin Cafe Orchestra, prompted David Bintley to create this ballet, set in a caf� where penguins resemble people and people resemble penguins. Here, an exuberant cabaret is presented by a succession of exotic creatures. The inventive and amusing choreography, enlivened by Hayden Griffin's ingenious sets and costumes, also highlights the plight of the world's endangered species. It was recorded in the studio. Under its leader and composer Simon Jeffes, this ensemble has been making its own idiosyncratic brand of music since the mid- 1970s, drawing on classical and avant-garde sources, as well as pop, folk and ethnic forms, with instruments ranging from the piano, cello, violin and drums, to the ukulele, electric guitar and penny whistle. A studio recording of performances by the PCO is punctuated with interviews in which they discuss their original and eclectic style.